Ah, the List. Perhaps the List will help my brain sort out what it wants to do. – latest project for stockinette-during-reading – a simple jacket out of Rowanspun 4ply, held double. It’s, uh, a bit bigger than I was going for – measures about 19″ across the back. But it’ll be ok – it’s just supposed to be a casual cardigan/jacket thing. Hopefully it won’t grow a whole bunch when it gets blocked. – cable/rib cardigan. 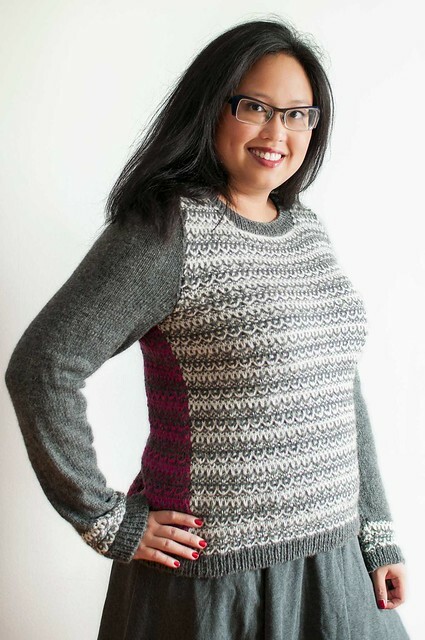 ummmm…..I just really don’t want to knit the sleeves again. I’m awaiting a copy of Knitting from the Top to do a top-down set in sleeve. – supermerino cardigan, my own design, just a few inches into it. – whitby socks. Just a couple inches of foot to do on the second one – I know I could finish it if I just devoted an evening to it, dammit. – silky wool/tweed raglan – done the body, need to start the sleeves. – toe-up lorna’s laces sock – I’ve only got the foot of the first one done. If I turn the heel, it would be perfect for stockinette-while-reading…but alas, it just sits. – vintage blue cardigan – working on the second sleeve. No body yet, although again…candidate for stockinette-while-reading. – that Garnstudio DROPS circle cardi. I love it. I just haven’t come up with a yarn yet. I think I might do it in the Sheldridge Farm wool that I got from the Frolic and maybe do the next size up to compensate for the gauge. On the other hand…I kind of really want to buy some Summer Tweed for it. – Raspy (Rowan Denim People) or raspy-esque pullover out of Pakucho cotton in one of the green shades, stashed from last summer. – Some kind of lacey cardigan. – Fitted blazer out of double-stranded Rowanspun in midnight, at a tighter gauge than what I’m doing with the other Rowanspun. Thinking either the Shocking! jacket by Veronique Avery, or the jacket that’s by Debbie Bliss from an older Interweave. I’m feeling quite uninspired at the moment, really. And I’d love to follow someone else’s pattern for something. Oh well, for now I’ll read and knit stockinette, and then I’ll try to come up with something fresh and different and somewhat girly that’ll kick start me again. Any suggestions? Lace. It’s summer. I’m all about lace. Chic Knits just this last week put up a new pattern for a cute lacey cardigan called CeCe – might be inspiration for you!